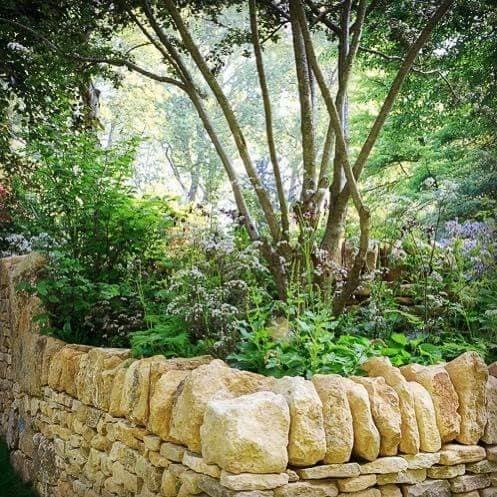 RLC DRY STONE WALLING are very proud to have provided the stonework to the Welcome To Yorkshire garden, designed by Mark Gregory. We are also proud to have been party to the award for Best Construction at the show. 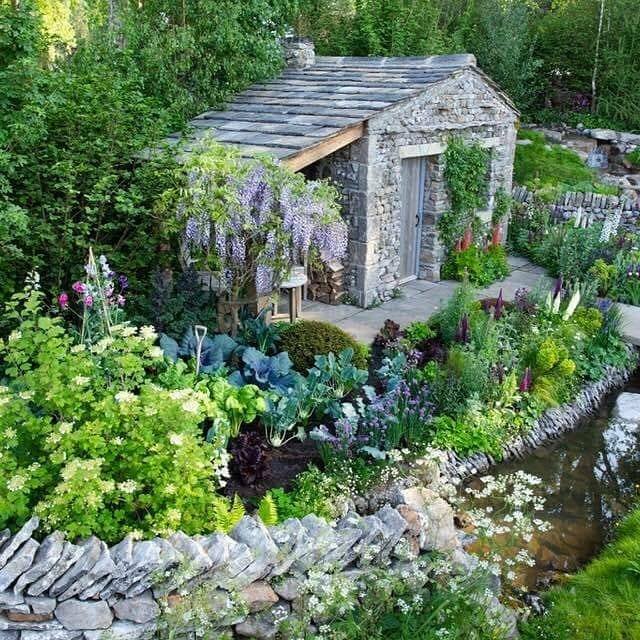 The garden also gained the Peoples Choice Award. 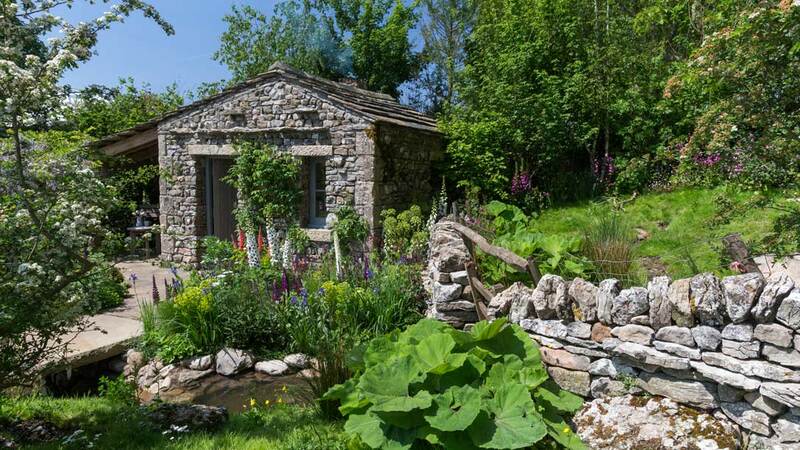 We researched and found the materials for this garden over a six month period, scouring the Yorkshire Dales and striking gold, so to speak, when we discovered the Bolton Estate at Bolton Castle, Wensleydale in North Yorkshire. They kindly allowed us to borrow stone from the beautiful landscape. 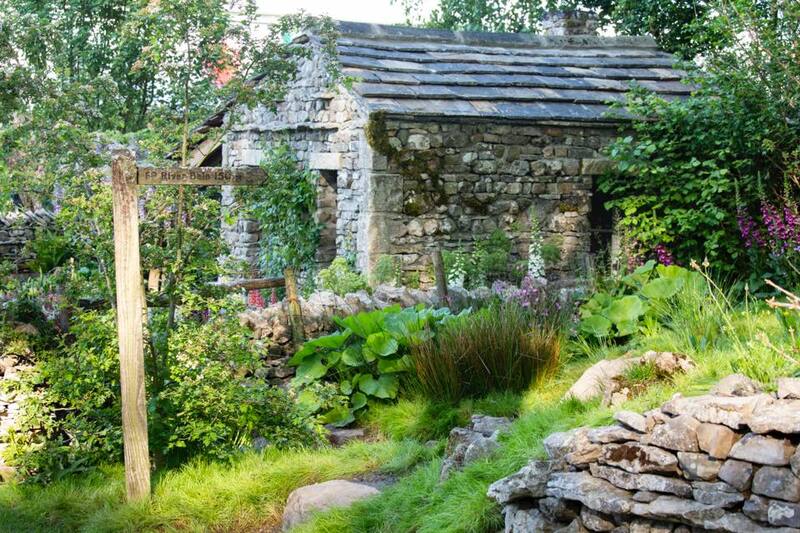 We used their walling stone for both the dry stone walls and the Creamery building. Large rocks from the moors, gravel and boulders from the nearby beck were also used. The quoins, bridge stone, sills and paving slabs were supplied by Abacus of Holmfirth. 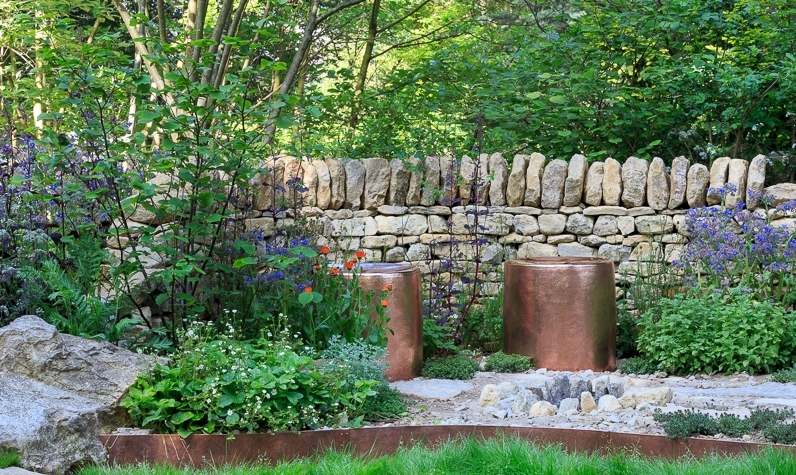 Chelsea 2018 saw us working on two gardens, The large Yorkshire Garden and this gorgeous artisan garden by Kate Savil and Tamara Bridge. The sponsor was Warner Edwards Gin. Inspired by the Warner Edwards Distillery, ‘The Warner Edwards Garden’ reflects the surrounding landscape of its home, Falls Farm, Northamptonshire. 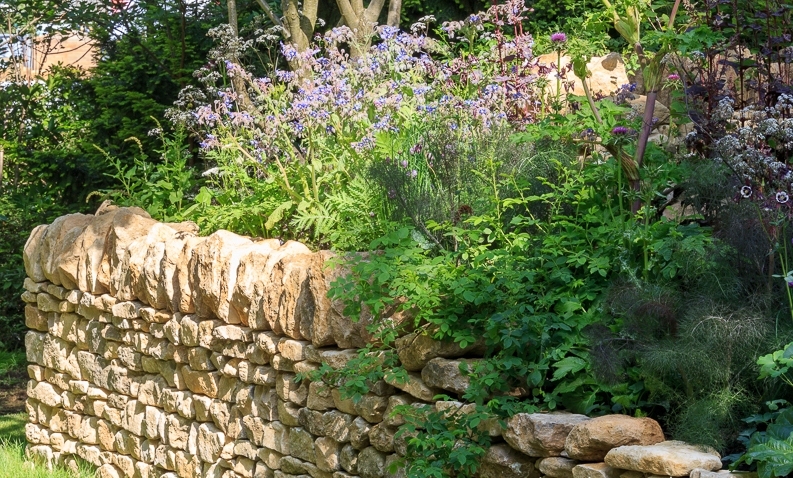 Terraced gardens, once part of a medieval manor house and now a scheduled monument under English Heritage, sits alongside the natural springs on the farm in Harrington, a village said to be ‘built on rock and water’, which have been reimagined in key design features of the garden. 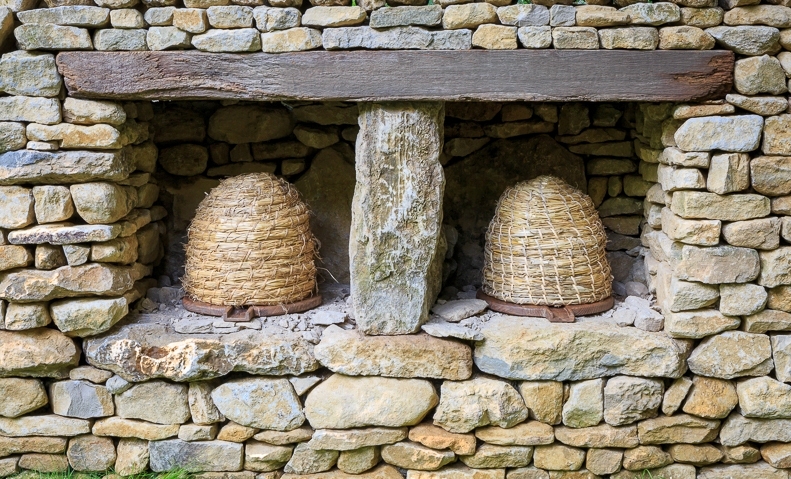 Bee friendly plants and Bee Boles set into old stone walling reflect the farm’s apiary. 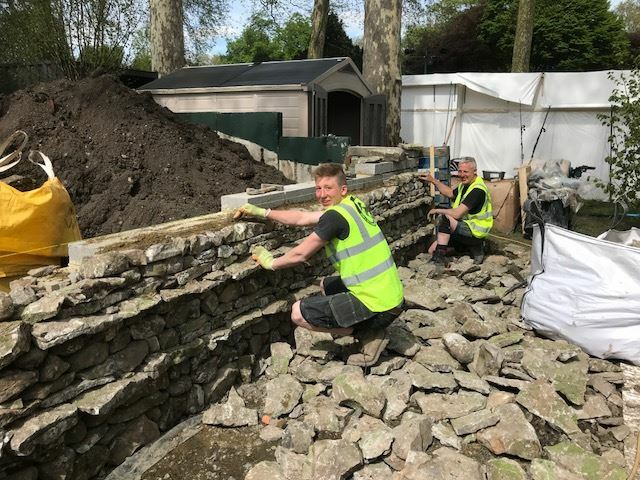 Our part was to help gather the walling stone and boulders from a quarry close to the distillery and build the walls and bee bowls. The garden gained a Silver medal.